Zaur Dadayev, a former deputy commander for the Chechen police, confessed to his involvement in the brazen assassination of opposition activist Boris Nemtsov. 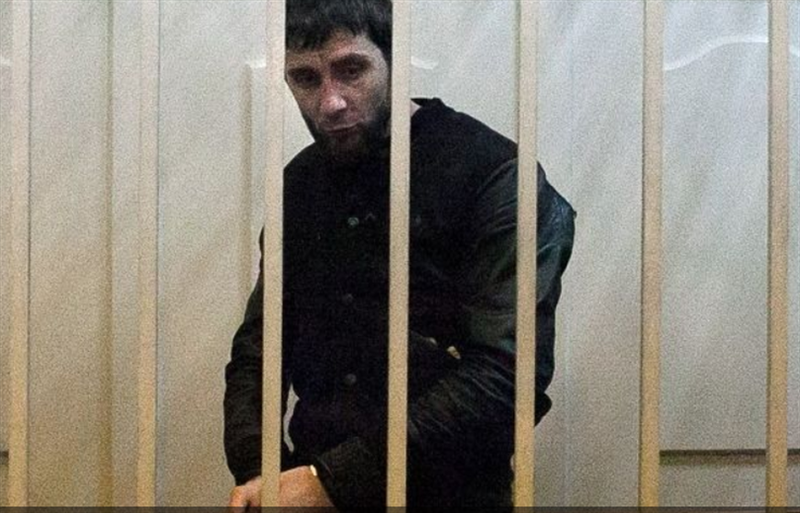 MOSCOW: A Russian court on Sunday (Mar 8) charged two men with the murder of opposition activist Boris Nemtsov, including an ex-police officer from Chechnya who confessed to his involvement in the brazen assassination. Five suspects appeared in a court in central Moscow a little over a week after Nemtsov, a longtime critic of President Vladimir Putin, was shot four times in the back as he strolled with his girlfriend along a bridge in full view of the Kremlin. Court spokeswoman Anna Fadeyeva told the RIA Novosti news agency that three of the men who were not charged were only considered suspects at this stage. All five were remanded in custody. Zaur Dadayev, a former deputy commander for the Chechen police, and Anzor Gubashev, who worked for a private security company in Moscow, were arrested on Saturday in the republic of Ingushetia, which neighbours Chechnya. They were both charged with murder but Gubashev denied involvement. “The participation of Dadayev is confirmed by his confession,” said presiding judge Nataliya Mushnikova. However no information has emerged as to the possible motive the men could have had in killing the charismatic opposition leader. His allies believe his assassination was a hit ordered by the top levels of government determined to silence dissenters. The allegation has been strenuously denied. On Sunday the Investigative Committee announced three further arrests in the case: Gubashev’s younger brother Shagid, Ramsat Bakhayev and Tamerlan Eskerkhanov, who news agencies reported had also been arrested in Ingushetia. The men are all from the volatile northern Caucasus region where Russia has fought two devastating wars against Chechen rebels and where security forces continue to clash with extremist insurgents. “The suspects denied their involvement in this crime but investigators have proof of their involvement,” a representative for the probe told the court of the three. The Interfax news agency meanwhile cited a source in law enforcement as saying that another suspect sought by police over the murder had holed himself up in the Chechen capital Grozny on Saturday and blown himself up with a grenade after throwing another at police surrounding the building. The audacious murder in one of the most secure parts of the Russian capital sent shivers through an opposition which has seen several critics of the Kremlin killed in recent years and accuses Putin of steadily suppressing independent media and opposition parties. Her comments echo those heard from Kremlin critics since the killing such as activist Alexei Navalny, who accused “the country’s political leadership” of ordering a hit on Nemtsov. Nemtsov had long complained of being followed and having his phone tapped. Many Russians say that failing direct involvement, Putin is to blame for whipping up hatred against the opposition by regularly referring to them as a “fifth column” of traitors and spies — a message spread by all-powerful state media. He first used the term fifth columnist – which originated during the Spanish civil war and refers to a group of people undermining a nation from within – after last year’s annexation of Crimea which plunged Russia’s relations with the West to Cold War lows. Investigators have suggested Nemtsov’s killers wanted to destabilise Russia while politicians have referred to a western plot. But investigators are also probing the possibility he was assassinated for criticising Russia’s role in the Ukraine conflict or his condemnation of January’s killings at the Charlie Hebdo satirical weekly in Paris by extremist gunmen. At the time of his death, Nemtsov was believed to be working on a study detailing the presence of Russian troops in Ukraine, a claim the Kremlin denies. Interior Minister Rihards Kozlovskis said Monday that he expects Latvia to be targeted by a concerted disinformation campaign in the run-up to the controversial March 16 unofficial parade commemorating Latvian soldiers who fought on the side of Nazi Germany during World War II. Speaking on LTV’s morning news program, Kozlovskis said he believed Latvia could be targeted for propaganda purposes even more than in previous years. 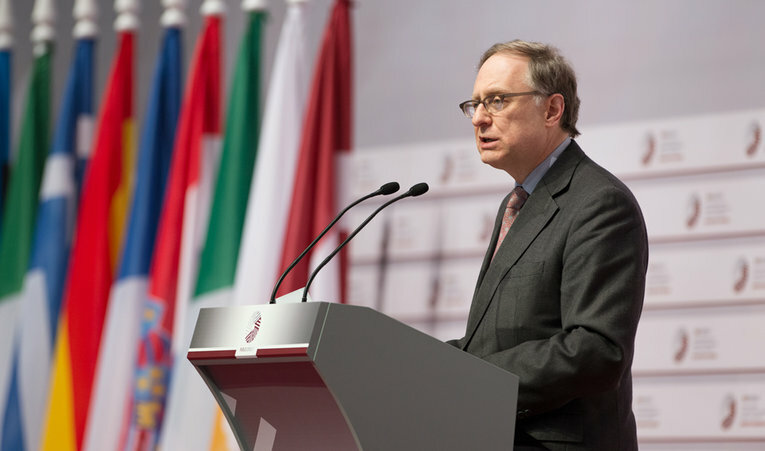 The usual allegations that Latvia has seen a “revival of fascism” could be expected, Kozlovskis said, but with the background of the war in Ukraine and nationalist hysteria being whipped up by Russian media, they could be even more aggressive than usual. March 16, known unofficially as ‘Legionnaires’ Day’ is – along with Soviet Victory Day on May 9 – one of the most contentious dates on the calendar. Caught between the superpowers during World War II and occupied in turn by Soviets and Nazis, similar numbers of Latvians fought on both sides. The Latvian Legion comprised two combat divisions that were part of the Waffen-SS under the control of Heinrich Himmler rather than the regular German Army or Wehrmacht. The parade, from the central Dom Cathedral to the Freedom Monument, has in recent years been contained by a massive police presence, while demonstrators have also been given the opportunity to have their voice heard via a loudspeaker system. Last year, Environment Minister Einars Cilinskis lost his job after he defied Prime Minister Laimdota Straujuma’s order that no ministers should participate in the parade. No such ban was placed on coalition members of parliament and a large contingent from the National Alliance political party which is one of the three parties in government, is guaranteed along with a few thousand participants. Kozlovskis also used his interview to say that around 100 organizations were currently operating in Latvia that had ties to Russian government funding. I am very pleased to be in Riga today. I appreciate that NATO-EU cooperation is high on your conference programme. And I am honoured to discuss this important subject with such eminent co-panellists — and with all you parliamentarians gathered here this afternoon. 2014 was a watershed year. Since this time last year, we have seen the emergence of an entirely new strategic reality. We have seen new threats and challenges both on our eastern and our southern borders. They are different, but they are serious. NATO does not seek confrontation with Russia. But Russia no longer appears to want to be integrated in a common Euro-Atlantic community. We see an angry, revisionist Russia that breaks international rules, that wants to re-establish spheres of influence, and is prepared to redraw borders by force to achieve its goals. Russia’s aggressive actions in Ukraine reflect an evolving pattern of behaviour that has been emerging for several years – from Moldova, through Georgia. And it is justified by a false narrative alleging that Russia has been humiliated and encircled by the West ever since the end of the Cold War. This is a myth. The reality is that for over twenty years, NATO has tried to engage Russia, not to isolate it. 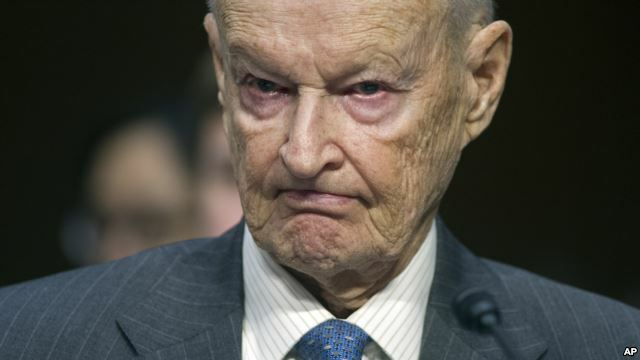 We have also seen emerging a new form of ‘hybrid warfare,’ combining military intimidation, disguised intervention, the covert supply of weapons and weapon systems, economic blackmail, diplomatic duplicity and media manipulation, with outright disinformation. The terrain is not just the field of geopolitics, but Russian domestic politics as well. President Putin’s aim seems to be to turn Ukraine into a failed state and to suppress and discredit alternative voices in Russia, so as to prevent a Russian “Maidan”. We’ve seen that the victims are not just in Eastern Ukraine, with the brutal murder of Boris Nemtsov last Friday. While we don’t know who pulled the trigger, we do know that Boris Nemtsov was a powerful voice for democracy and against Russia’s involvement in Ukraine who was among those vilified as “traitors” and “fifth columnists” in Russia’s official propaganda. The international community has made clear its condemnation of the murder of Nemtsov and its call for an open and impartial investigation into his death. Even before this tragic event, there was mounting evidence that the Russian incursion into Ukraine is becoming much less popular among the Russian public – especially as Russian leaders are less and less able to conceal the fact that Russian soldiers are fighting – and dying – in large numbers in Eastern Ukraine. The agreements reached in Minsk last month are an important step to end the violence and promote a political solution to the Ukraine conflict. But full implementation is key. And Russia has a special responsibility, together with the separatists that it supports with training, equipment and forces, to bring about a real de-escalation – not a temporary pause, but a lasting solution that allows the people of Eastern Ukraine to have their normal lives restored as part of unified, democratic Ukraine within its internationally recognized borders. At the same time, we also face a serious challenge on our southern borders. Across the Middle East and North Africa, ISIL’s violent ideology has poured oil on the fire of extremism and sectarianism that was already burning after the failed promise of the Arab Spring. And the situation has become particularly tense with the recent upsurge of violence in Libya. Our NATO Ally Turkey is already on the front-line of the fighting. We have seen more and more people desperate to escape the violence, which is putting enormous strains on countries like Turkey and Italy. Recent attacks in Paris and Copenhagen show the danger of violent Jihadism spilling back onto our streets, damaging the very fabric of our societies. So what do these dual challenges mean for Western policy? I firmly believe they require a unified strategy to strengthen our own resilience — but also that of our eastern and southern neighbours. Because if they are more stable, we are more secure. And I also believe such a unified strategy puts a premium on closer cooperation between the European Union and NATO. In the East, our first priority must be to strengthen our own defences against any threats. And that’s exactly what NATO is doing with our Readiness Action Plan agreed at our Wales Summit last September. We have already increased significantly our military presence here in the Baltic region and elsewhere in the eastern part of the Alliance. And we are making good progress in making our forces more ready, more responsive, and better able to meet any threat from any direction. We want to assure all Allies that NATO has “got their back” – and to deter any potential aggressor. That’s why we are also focusing on the threat of hybrid warfare that has been central to the Russian strategy, first in the illegal annexation of Crimea, and now in Eastern Ukraine. Hybrid warfare isn’t new. But we have seen it applied in Ukraine with renewed vigour and ingenuity. While we don’t see any immediate threat to NATO allies, we can’t be complacent about the possibility it could be used against a NATO country. Hybrid warfare mixes hard and soft power. And so our response should also be multi-faceted. NATO and the European Union each have distinct hard and soft power tools. Our challenge is to bring them together so that we complement each other, and reinforce the essential measures taken by our member states. At NATO, we are looking at how we prepare for, deter, and – if required – defend against hybrid threats. Preparing means that we must strengthen our open and inclusive societies. We must also improve our intelligence and warning systems. We must protect our infrastructure, including our information infrastructure. And we must make sure we can take decisions quickly to deal with events that, at least initially, may be characterized by ambiguity and deception. To deter hybrid threats effectively, we need to demonstrate our resolve to act promptly, whenever and wherever necessary. NATO’s enhanced presence in the eastern part of our Alliance, the implementation of the Very High Readiness Spearhead Force, the setting up of command and control units in six eastern Allies, and other steps – all send a strong signal that we are improving both our political and military responsiveness, and that we are able to deploy the right forces to the right place at the right time. Finally, if deterrence should fail, NATO stands ready to defend any Ally against any threat. For hybrid scenarios, we may need not only to deploy conventional forces quickly, but tailored force packages with special operations forces, civil affairs expertise, and information capabilities that can work with local authorities to counter efforts to subvert or destabilize social peace. And I expect that any NATO response would then be complemented by a much broader international effort – to bring to bear diplomatic, economic and other levers as well. In Ukraine, the first priority of the international community is to stop the fighting. We need to see full compliance with the ceasefire, a pullback of heavy weapons from the line of contact, and withdrawal of foreign forces, including Russian forces – all subject to unhindered verification by the OSCE. If Russia and the separatists it backs do not fulfil their commitments, the international community has made clear that it will continue to raise the costs. At the same time, we must continue to work with Ukraine and other eastern neighbours who aspire to a European future, in particular Georgia and the Republic of Moldova. It is not only a moral duty, but also a vital security interest, to help them to become stronger, better able to withstand outside pressure, and to chart their own course. There is a key role for the European Union in helping these countries to stay on the path of democratic reform, to open up their economies, and build effective institutions. But NATO is making an important contribution as well, by helping them to reform their defence sectors and to build effective armed forces, and by reinforcing our long-standing partnerships. The challenge coming from the south also demands that our efforts should be complementary. Over the past two decades, from the Balkans to Afghanistan, NATO has shown a unique ability to mount complex operations involving both Allies and partners, and also to work in concert with organisations like the United Nations, the European Union, and the Arab League. It is clear, at the same time, that deploying large numbers of troops is not always the answer to a crisis. Most of the time, it will be more effective to help countries to build up their own defence capacity, and their own ability to maintain peace and stability in their region. That is why we have stepped up our support for Jordan. We are considering how we can best respond to a request for assistance by Iraq. And we stand ready to support Libya, as requested by its government, once security conditions allow. When it comes to supporting our southern neighbours with security sector reform and defence capacity building, NATO can bring unique added value. But there is a key role for the European Union too, to help these countries with political and economic reforms, to build strong institutions, and to fight corruption. The logic of closer cooperation between NATO and the EU is more compelling than ever before. We need to strengthen the resilience of our own nations as well as that of our eastern and southern neighbours. We need to further coordinate our approaches to counter hybrid warfare, dispel propaganda and misinformation, and defend our shared democratic values. And we need to work together to manage crises, bring relief, and project stability beyond our borders. NATO-EU cooperation has continued to intensify these past few years. We hold political consultations on the situation in Ukraine; we have broad staff-level contacts; and we are working together on operations, capability development, and defence capacity building. We have launched efforts to coordinate our strategic communications. But at the working level, we have almost reached the limit of what we can do within the well-known, long-standing constraints on our cooperation. We need political engagement, at the highest levels, to address those constraints. Parliamentary support will be critical in driving the NATO-EU relationship forward. And I would encourage you to do what you can to help bring it about – both in your national parliaments and through your interparliamentary work. Finally, our security does not come for free. Keeping our military forces on high readiness, investing in new equipment, and supporting our partners – all these things are expensive. Smart Defence and pooling and sharing help to get the most out of every defence Dollar and Euro. So we need to continue those efforts. But we also need to stop the decline in our defence budgets, and to raise them again as our economies improve. You play a vital role in making sure that the necessary resources for our defence are available. And I hope you will also play that role to the full. This is a critical time for the security of all our nations. We face new, complex challenges both to our east and our south. If there was ever any doubt about the need to re-invest in our defence, and for NATO and the European Union to work much more closely together, that doubt should have really disappeared by now. Woman’s sentence more than doubles after appeal; lawyer stripped of license. The sentence was appealed by the victim’s lawyer. Yet instead of mitigating her sentence, the courts worsened it whilst banning her lawyer from the case and stripping him of his license under the claims that the woman committed the offense of speaking to media in addition to the indecency she was originally sentenced for, PressTV reported.